Former Liverpool defender Stephen Warnock believes that Naby Keita was too slow in his play against West Ham United this evening. The Reds needed to beat the Hammers to re-establish a five-point lead over Manchester City at the top of the Premier League table and took a big step towards doing so when Sadio Mane put them in front in the 21st minute. But West Ham struck back, with Michail Antonio levelling things up six minutes later. 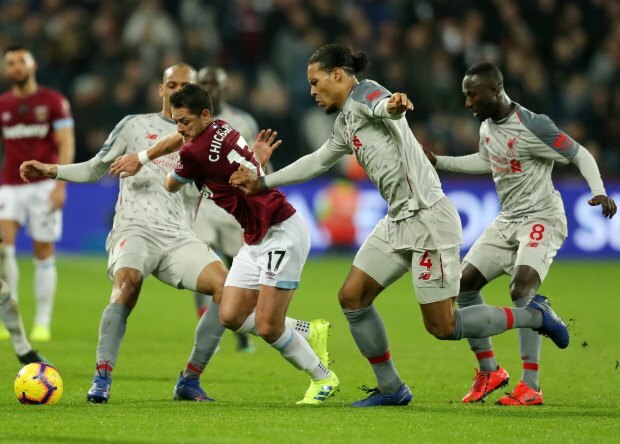 Liverpool looked to go ahead again, but could not break through the West Ham backline, with the Hammers increasingly defending deeply as the game progressed. Warnock, watching on for LFC TV, noted Keita's performance and feels that it was too slow. He believes the summer arrival sometimes does not appreciate how quick the game is in the Premier League. "It's just too slow from Keita at times", Warnock said. "I don't think he realises at times how quick the game is in the Premier League." Keita did play in Divock Origi for a late chance at the death, but the Belgian could not finish past Lukasz Fabianski. And Liverpool, who made no signings in the January transfer window despite injuries mounting, are just three points ahead of Manchester City now.